The stigma of addiction still exists. Many do not believe that addiction is a disease. People feel that addiction is a moral failing; that people choose to be addicts or that those that become addicts are weak, even though there are heaps of evidence and decades of medical and scientific research that support the idea. It is no longer a debate, it is a fact. Addiction is a disease. Additionally, addiction is now the number one cause of accidental deaths in the United States, meaning that more people die as a result of drug addiction than they do of automobile accidents. Yet, the stigma surrounding addiction still exists. It creates fear and shame and guilt and often is a barrier for a person seeking help for substance abuse or chemical dependency. Addicts don’t want to tell their families. Families don’t want it known in the community. The more barriers that exist, the less likely that addicts and alcoholics will seek live-saving treatment. 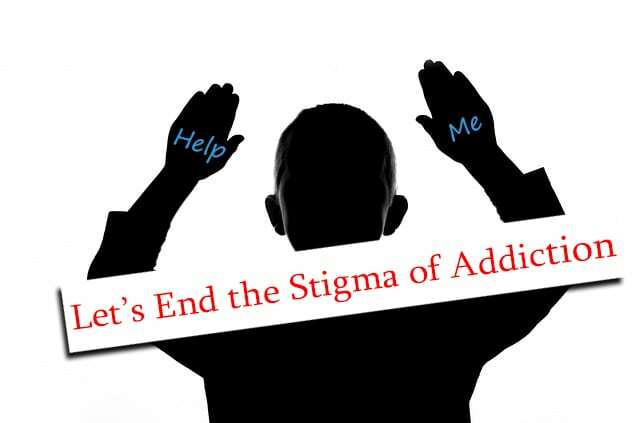 Therefore, those people that have been affected by addiction, that are in recovery, that support those in recovery need to stand up and fight the stigma. Speak up and speak out. Those people that are in recovery need to speak out and show the world and their local communities what people in recovery look like, what people in recovery act like- that those in recovery go to work, go to school, vote, pay taxes and are responsible, productive members of society. No one is suggesting anyone involved in 12 Step recovery communities to break Traditions, but saying someone is in recovery does not violate any of the Traditions and society needs to be able to see those that have recovered from addiction and alcoholism. Demand equality and parity in medical coverage. President Obama’s Affordable Care Act has taken a great step in this direction, making sure that mental health and substance abuse is covered by all insurance carriers. However, that is simply a first step. Insurance companies are large and powerful and need to be held to this new law. People need to demand that medical insurance companies offer adequate, long-term benefits for alcohol and drug treatment. Petition state lawmakers for less criminal penalties for drug offenders. Addicts are sick people and part of the classification of someone suffering from addiction is that they use regardless of or despite the consequences. Jail does not deter addict and it does not offer them a solution for their addiction. It simply wastes taxpayer’s money that could be going somewhere better. Addicts and alcoholics needs treatment, not jail. Support substance abuse treatment and support services for recovery. People love to say they support addiction recovery and treatment in theory, but when push comes to shove people often don’t want to support the necessary steps to aid those from addiction through treatment and into recovery. All too often the NIMBY issue (Not In My Back Yard) comes into play. People don’t want treatment centers or sober living homes in their neighborhoods. However, these are important services to those people in need of services and recovery support. Additionally, most legitimate, quality treatment centers, IOPs and halfway houses will run so well and quietly that they would be the best neighbors. Be an advocate for individuals and families suffering from addiction. Support is important for those going through a family member with an addiction. The addict feels alone. The family feels alone. Reach out, speak out. If you have dealt with a similar issue, reach out and share that experience. Speak out in public as supportive. The more a community shuns those suffering, the more the suffering goes underground and the more difficult it will be for the addict and the family to enter into recovery.